Ranging from the extremely prestigious "club of the season" through a variety of various other categories these pubs illustrate a superiority far above even other entries within the great Pub Guide it self. For 10 years, brothers Will and Tom Greenstock happen at the helm for the top class and exceptional all-rounder the Horse & Groom in Bourton-on-the-Hill. It is our Pub of the season 2016. The beautifully restored old Porch House in Stow-on-the-Wold is brand new Pub of the Year 2016. With a very knowledgeable landlord who keeps 32 well kept ales at anyone time, unwanted fat Cat in Norwich is Beer Pub of the season 2016. For the ten exemplary Oakham ales, the Grainstore in Oakham is our Own-Brew Pub of the season 2016. With a fantastic range of 400 wines (they’ll available some of them simply for a cup), Woods in Dulverton wins once more and it is Wine Pub of the season 2016. With more than 400 malts to pick from, the Sligachan resort on the Isle of Skye is Whisky club of the Year 2016. The White Lion in Barthomley is Unspoilt Pub of the season 2016. 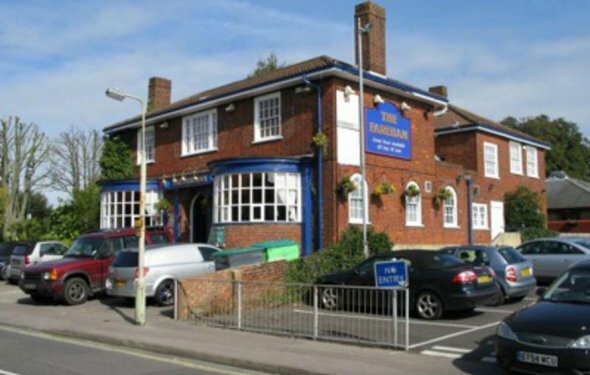 The Wykeham Arms, located near to Winchester’s beautiful cathedral, is Town Pub of the season 2016. The Fleece at Bretforton with its charming spaces and interesting history is nation Pub of the Year 2016. The lovely, separately furnished and thoughtfully equipped bedrooms (some with fireplaces and four-posters) in a 15th-c hotel with spectacular medieval features result in the Luttrell Arms in Dunster Inn of the Year 2016. Including offering real price, it's a gem of a club: the Crown & Trumpet in Broadway is Value Pub of the Year 2016. And supplying exemplary food, they brew their own beer, stock an array of other interesting products and supply a friendly, informal atmosphere – the couple of red grapes in Pontypridd is Dining Pub of the Year 2016. On her warmth of character and generosity of spirit, Kathryn Horton associated with Ostrich in Newland is Landlady of the Year 2016. Harveys in Lewes, East Sussex had been created in 1790 and has now already been run because of the exact same family for eight generations. They run across the South-east selling very carefully crafted regular and seasonal ales for their own 48 pubs and also to well over 500 various other outlets. Every Tuesday they deliver alcohol around Lewes by dray cart. With their multi-award-winning real ales, Harveys is our Brewery of the season 2016.